O2, one of the leading providers of wireless service in the United Kingdom, has apologized to customers for recent network issues including the inability to make or receive calls, or transmit data. Like AT&T, the United States exclusive iPhone provider, O2 blames the excessive data demands of the iPhone for crippling the network. 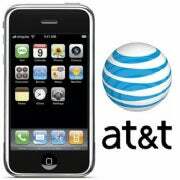 On this side of the pond, AT&T has been facing mounting criticism regarding its network. Users have been frustrated by dropped calls, slow data transmission, and poor signal quality--especially in major metropolitan areas like San Francisco and New York. A brief inability for NY residents to purchase the iPhone from AT&T online yesterday prompted speculation that AT&T might be attempting to throttle data usage by limiting iPhone availability. The absence of the iPhone online may have simply been a glitch on AT&T's end, or it could have been a response to concerns that some users may be purchasing the iPhones and paying the cancelation fee, then turning around and selling them unlocked on the black market overseas. Regardless of what the real reason is behind the temporary ban on NY residents purchasing iPhones, AT&T supplied the fuel for the speculation based on its recent actions and statements. In response to questions about its network issues and how AT&T might address the problem to reduce user frustration, an AT&T executive suggested that eliminating unlimited data plans and introducing some form of tiered data pricing structure might be a solution. Users revolted, led by the Fake Steve Jobs, and instituted Operation Chokehold to intentionally bring the AT&T network down in protest, but AT&T claims to have experienced little impact from Operation Chokehold. Amid all of the finger pointing and mounting frustration with AT&T, some reports have suggested that the iPhone itself may be the source of the problem. Two different wireless quality surveys suggest that AT&T has a strong, stable, and fast network--unless you use an iPhone. If it is true that an engineering design flaw in the iPhone is the cause of the problem, then both AT&T and O2 are getting the short end of a double-edged sword. Apple fans are a loyal and dedicated crowd, unlikely to blame Apple for issues and quick to accuse the wireless service provider. Partnering with Apple to distribute the iPhone may be an albatross around the neck of AT&T and O2 and turn out to be a decision they could both regret. One of the attributes that Apple prides itself on is controlling every aspect of the hardware, software, distribution, and other facets of its products to guarantee a superior user experience. Apparently, the wireless network that actually provides the backbone for the iPhone functionality slipped through the cracks. Perhaps Apple should launch its own wireless service to ensure a solid customer experience and circumvent the issues seemingly introduced by the insufficient network capacity of Apple's partners.